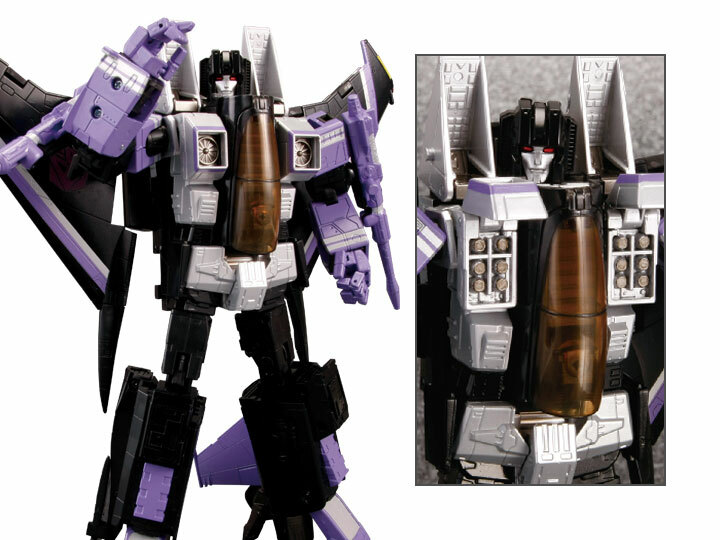 Please note: The packaging may be double-taped by the manufacturer. Stand with base is not included. 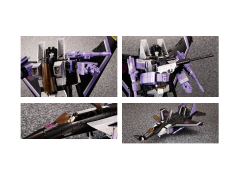 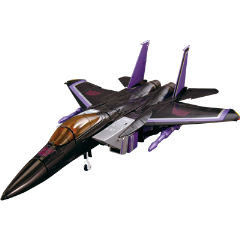 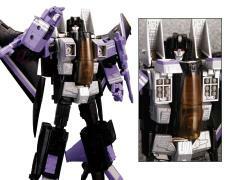 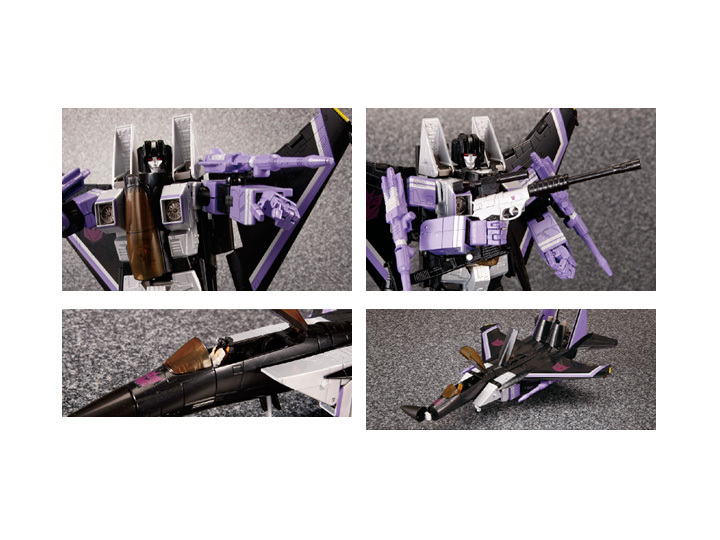 Skywarp is a black and purple redeco of the new MP-11 Starscream mold that features some extensive retooling to bring the design back into a more G1-accurate look. The legs now incorporate his tail-fins, the wingtips no longer curve into one another, the new head has collapsible fins, new heel spurs flip out to give more support in robot mode, and new machine guns no longer have to be removed during transformation. 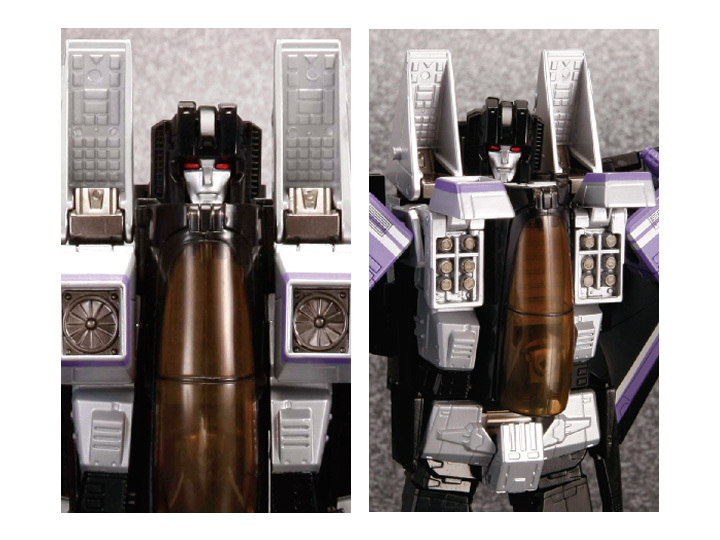 The figure also features chest-mounted flip-up missile racks. 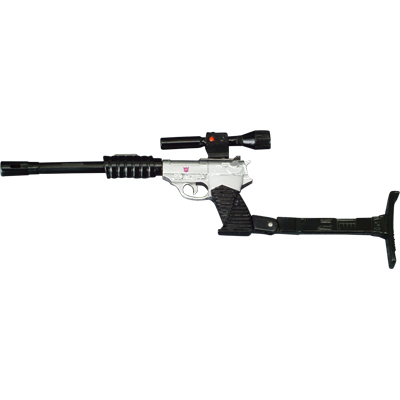 Skywarp comes with the original version of the Megatron gun that first came with Masterpiece Optimus Prime. 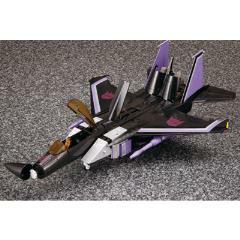 He also includes a Doctor Arkeville pilot figure. 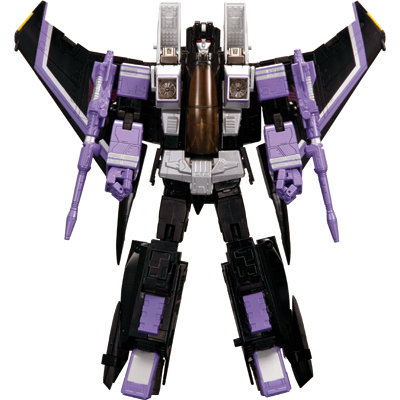 Skywarp is the only Decepticon to possess the ability to teleport but he wastes his unique ability on immature pranks played on both friend and foe.